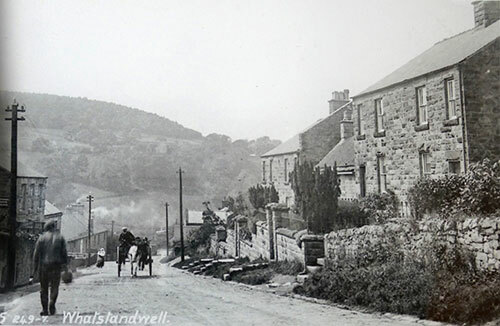 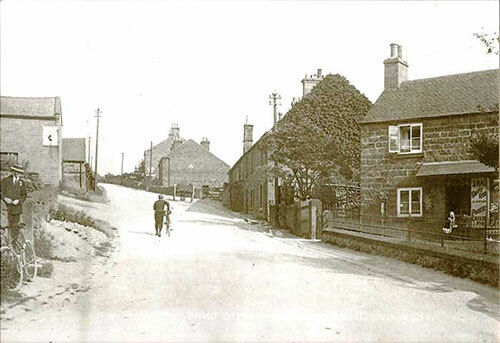 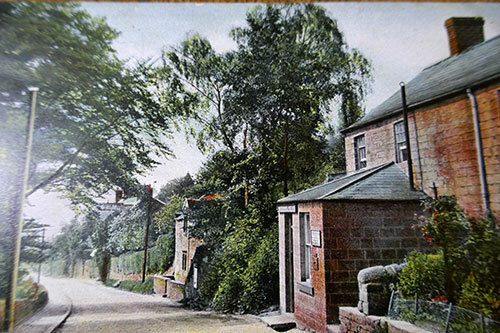 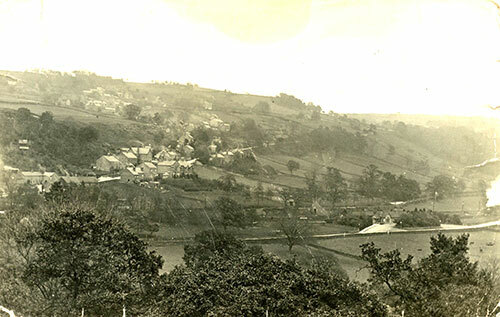 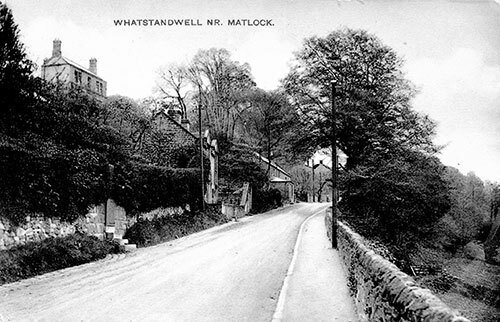 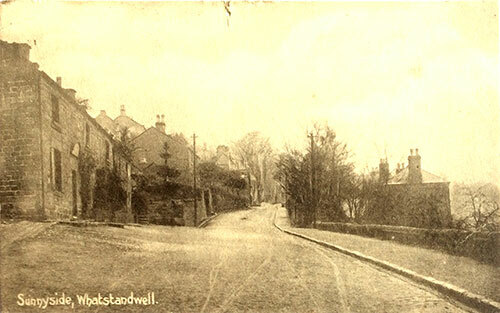 Whatstandwell and Crich Carr in times past. 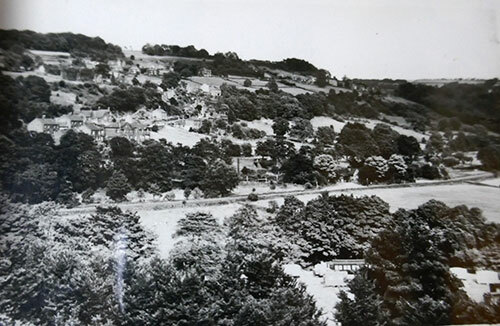 Crich Carr C of E Primary School. 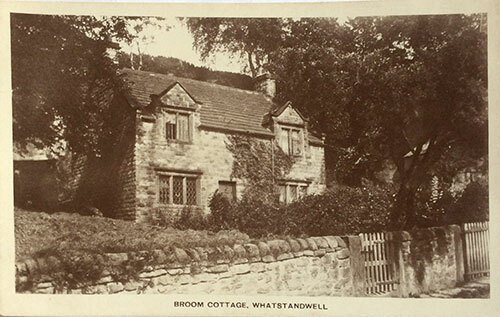 Broom Cottage, on Main Road where once brooms were made. 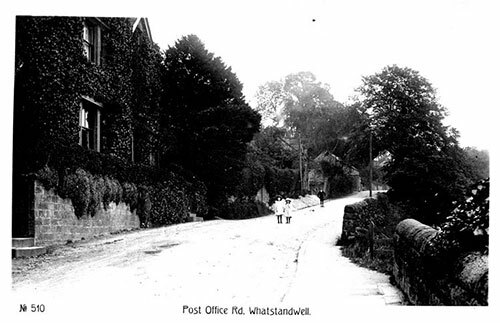 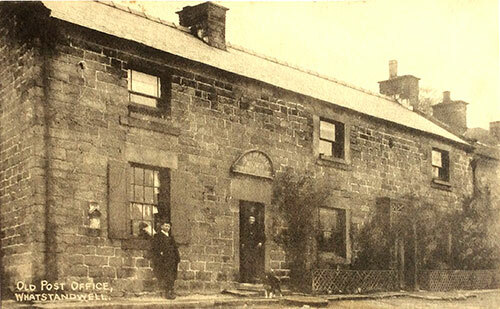 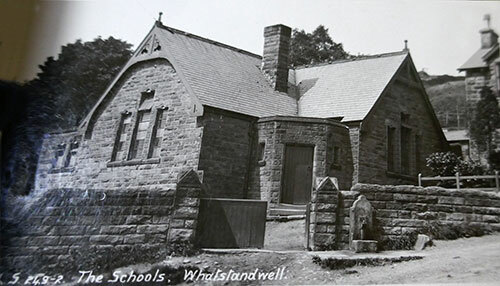 The original Whatstandwell Post Office. 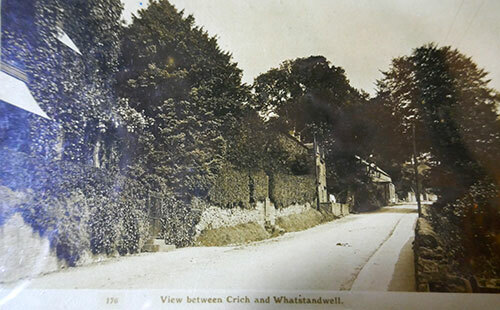 at 17 Main Road, on the corner of Hindersitch Lane. 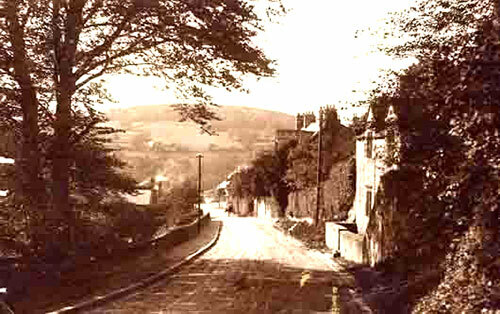 View up Main Road towards Crich. 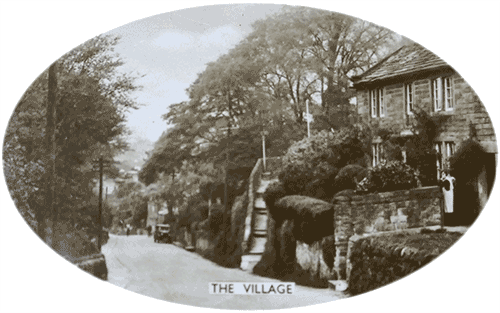 The first building is Broom Cottage, the second was the post office. 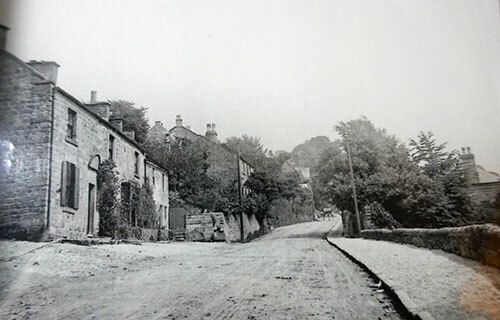 View up Main Road (Post Office Road) towards Crich. 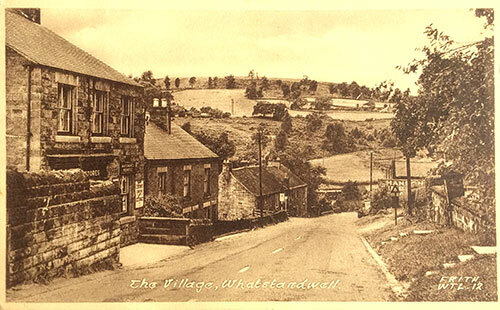 The village store and third post office is on the left. 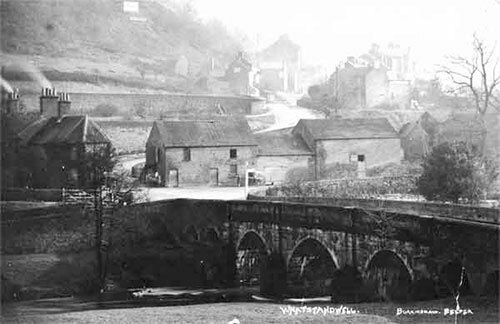 The Hanson sign can be seen on the Wheatsheaf Inn building roof on the right. 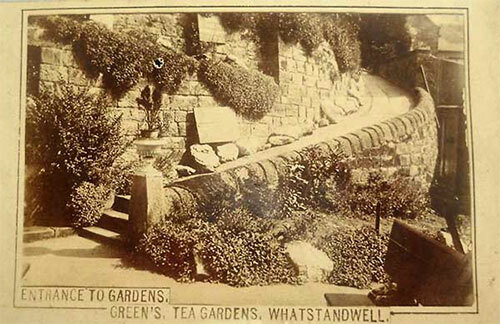 Opposite the Wheatsheaf, steps can just be seen going up to a sweet shop in the row of cottages. 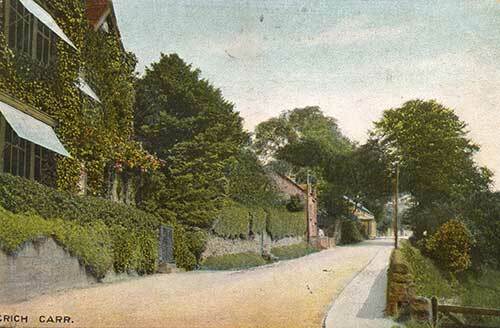 On the right is Shaw's Coffee Rooms; it was once Florence Nightingale's Reading Rooms and Coffee House. 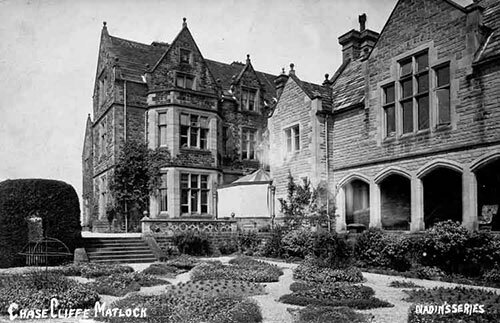 It later beacame Peacock's Reading and Billiards Rooms. 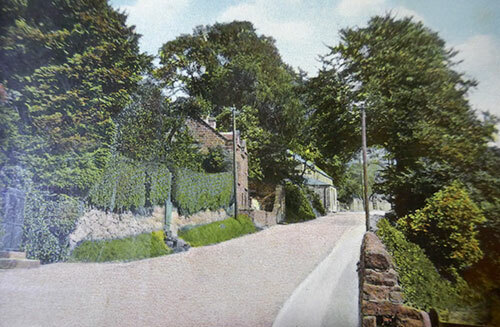 View of Main Road leading to Crich with Hindersitch Lane leading off beside the school. 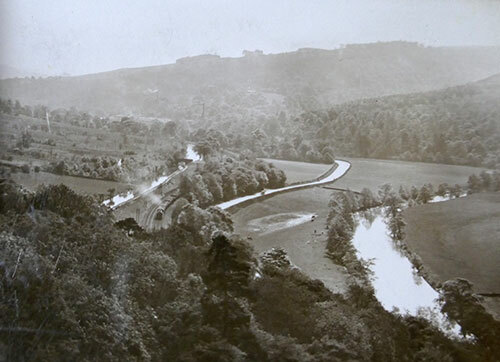 View of Whatstandwell and Crich Carr from Alderwasley. 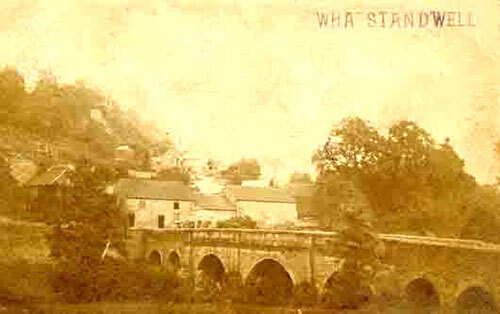 Note the caravans at the bottom right. 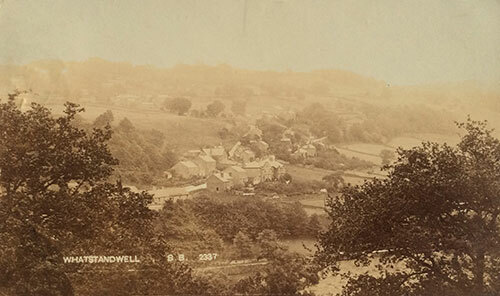 View of Whatstandwell from over the valley. 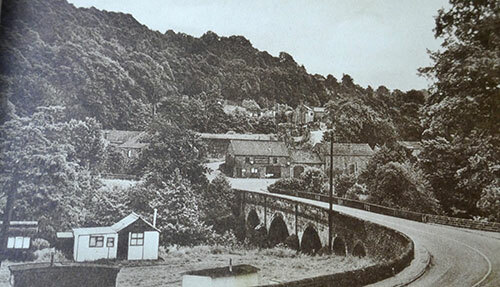 Note Whatstandwell railway station to the right. 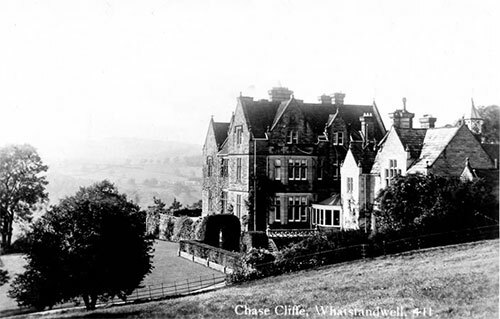 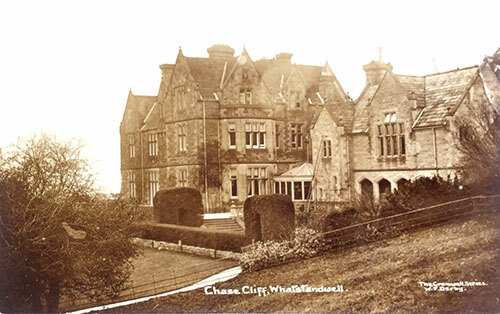 Chase Cliffe House, home of the Misses Hurt. 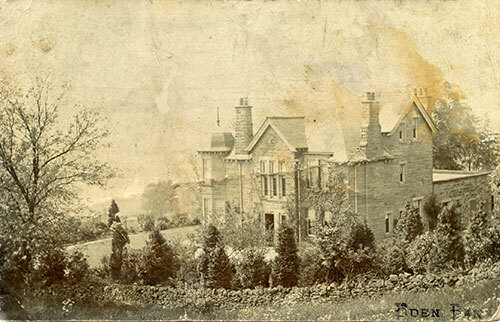 After the Hurts – Deacon family; Taylor family. 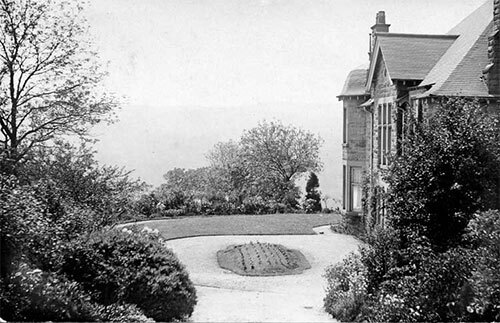 Eden Bank on Shaws Hill, built in 1900. 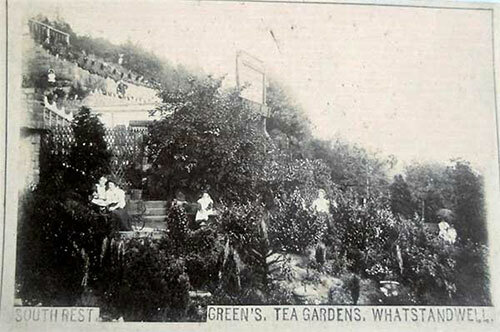 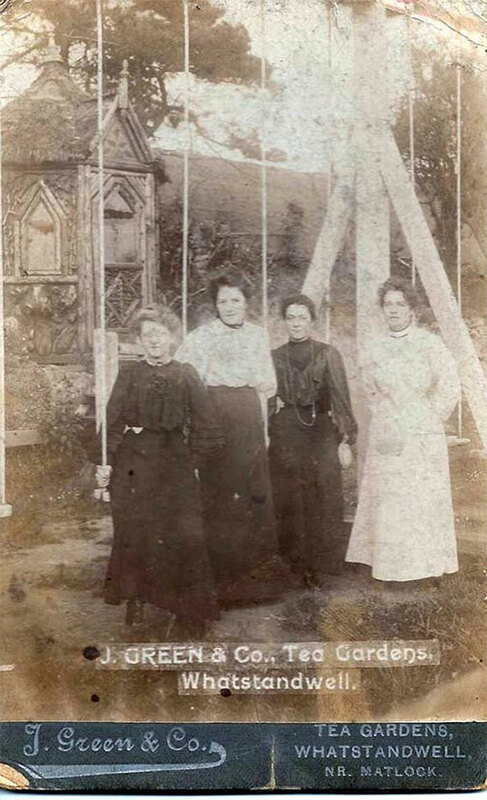 Family who ran the Green's Tea Gardens. 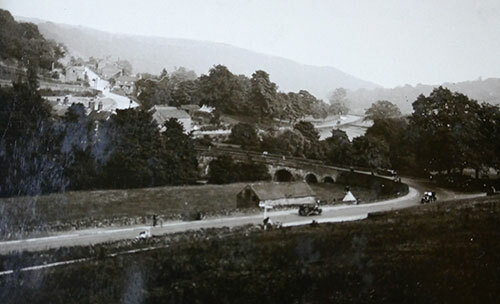 Derwent Bridge at Whatstandwell; the A6 road in the foreground. 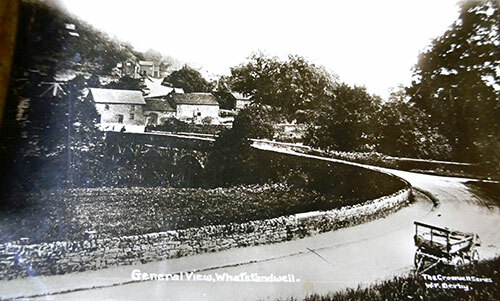 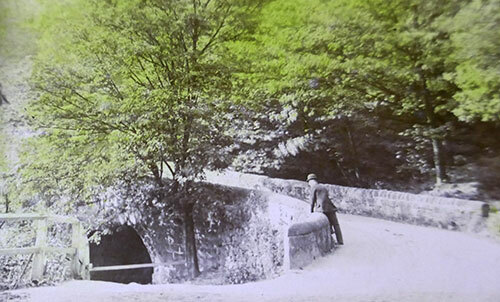 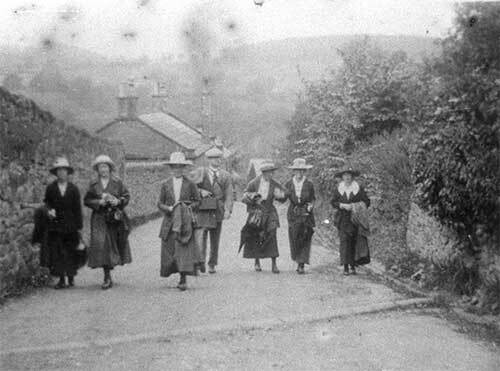 The billboad at the top of the view was advertising Green's Edwardian Tea Rooms on Top Lane. 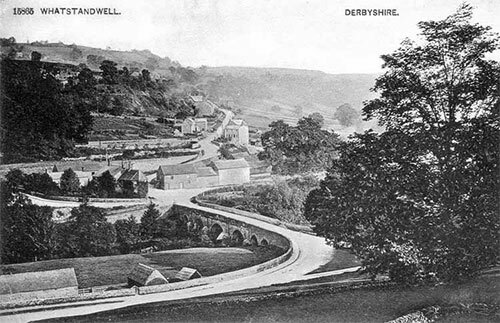 The buildings in the centre view were part of the Derwent Hotel. 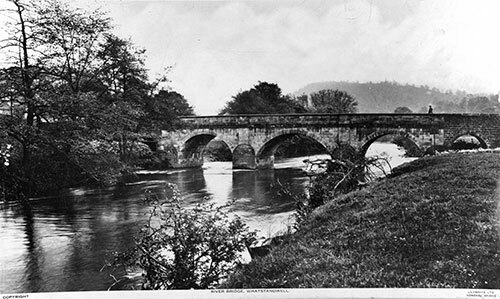 Derwent Bridge with a caravan site in the field before the bridge. 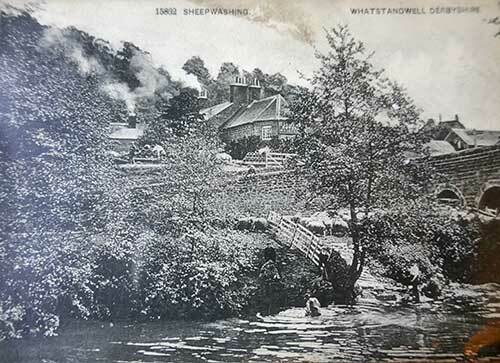 Sheep dipping at Whatstandwell Bridge. 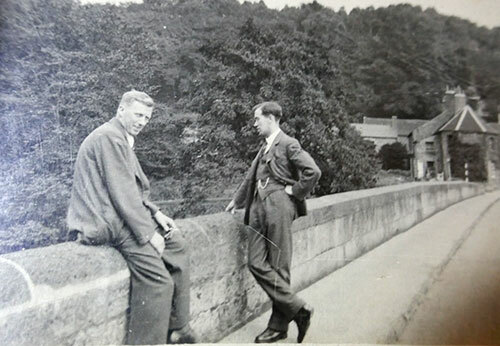 Two unknown gentlement on Derwent Bridge at Whatstandwell. 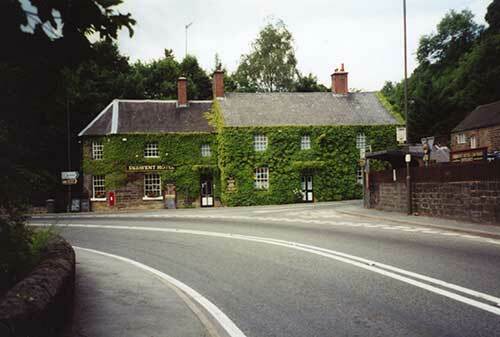 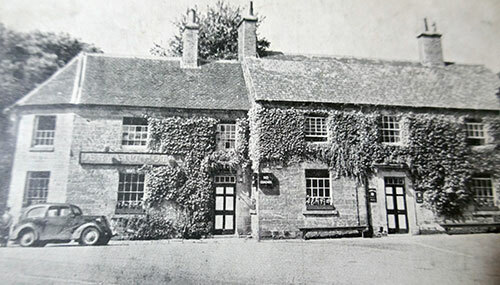 The Derwent Hotel, was once called the Bulls Head. 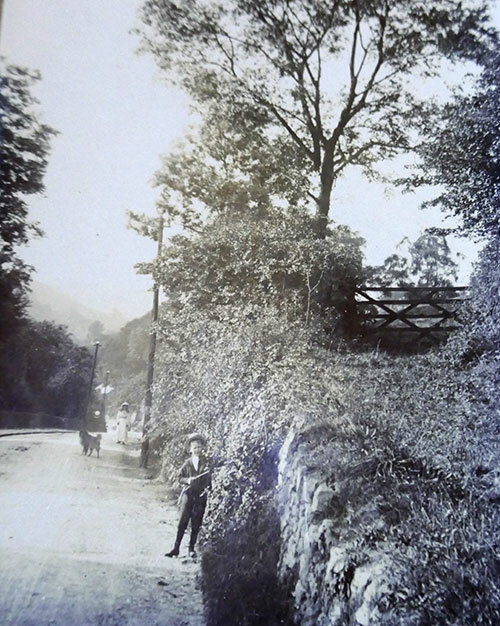 Currently the Family Tree (2017). 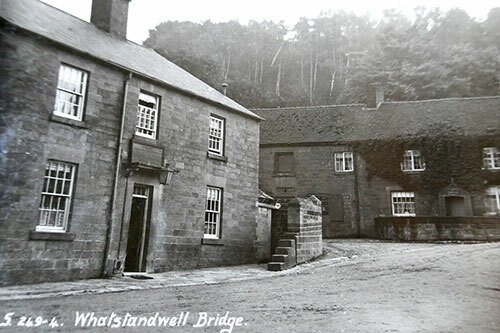 The Derwent Hotel on the left, the "smithy" facing. 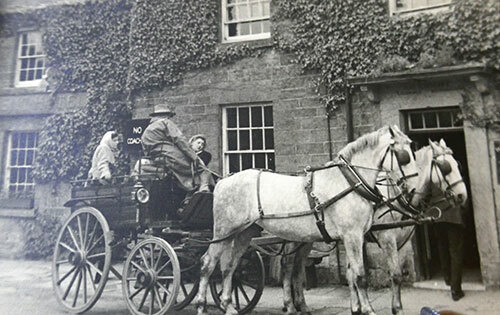 Carriage and horses outside the Derwent Hotel. 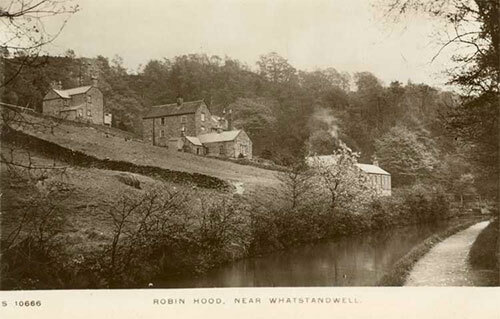 The hamlet of Robin Hood, Whatstandwell. 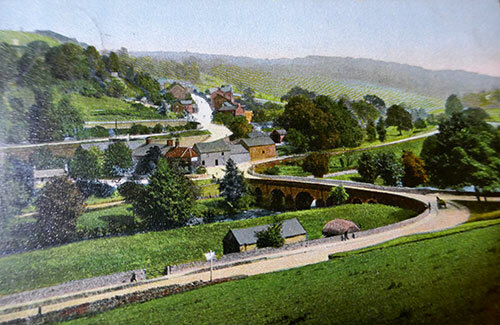 View from top of Main Road looking towards Belper. 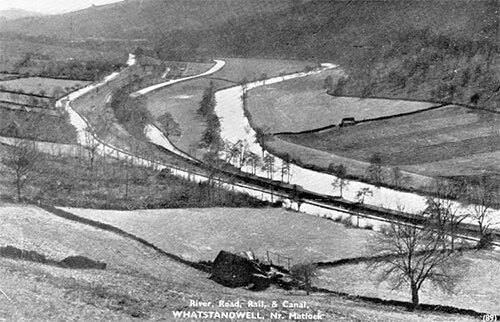 River, road, rail and canal at Whatstandwell.